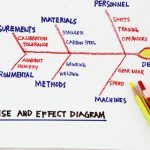 FMEA and cause and effect diagrams (also known as fishbone diagrams) are two commonly used analytical tools in the context of Six Sigma. However, some less experienced leaders often tend to confuse the two and may even use them interchangeably in conversation, despite them being quite different in fundamental application and purpose. Understanding how the two differ from each other, and what the appropriate use for each is, can make a huge difference in how you approach the analysis of problems occurring in your daily operations. It can also help you spot some common mistakes in the workflow of your team (for example, when you notice someone using the wrong type of tool to analyze a certain situation). Before we dig into the differences between the two tools, it can be useful to get a good idea of why people confuse them in the first place, and what the similarities between them are. The common points are mostly related to the core purpose of the two methodologies – that is, what they’re used for and what kind of assistance they can offer you in your analysis of regularly occurring problems. They are both designed to help you pinpoint exactly what went wrong in a problematic situation, and what factors contributed to the failure that occurred in the end. 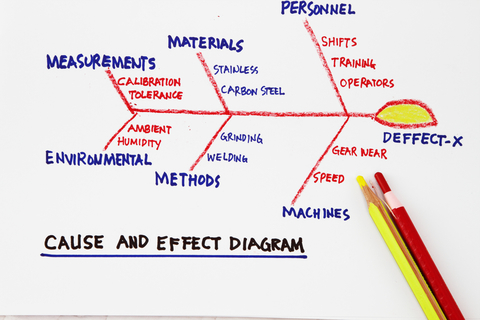 However, FMEA breaks down the problem into abstract components related to the operational structure of the organization, while cause and effect diagrams tend to be more focused on more substantial concepts, such as specific materials, procedures and so on. As we mentioned above, the cause and effect diagram is more closely concerned with how specific components of your organization have contributed to the failure. In addition, it shows a directed graph, with the failure being at the very right, and the distance between it and different components used to indicate how closely they are related to the failure itself. Something at the very end of the graph likely contributed very little to the problem, although its contribution is still non-negligible if it’s on the chart. 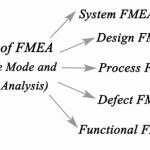 In contrast, FMEA groups contributing factors according to which part of the production process they occurred in – is it a functional issue, a problem with the fundamental design, with the way the process is carried out, etc. There is some visual grouping in FMEA as well, but it serves a different purpose than in fishbone diagrams. The grouping here is more of a logical tool used to determine the closeness of certain components in a functional sense. It’s also worth pointing out that cause and effect diagrams tend to look more closely at the root cause of the issue, whereas FMEA is concerned with improving the overall process in a sustainable way which leads to a reduction of flaws in the long run. 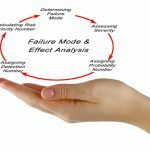 That’s not to say that FMEA does not deal with root causes in any way – but it tends to help you discover them more organically, leading you to the solution by aiding your intuition as it helps you see the big picture. And to answer the big question that some people inevitably ask in these situations — there is no better tool between the two. Asking which the better one is would be a bit like asking a carpenter if the saw or hammer is the better tool. 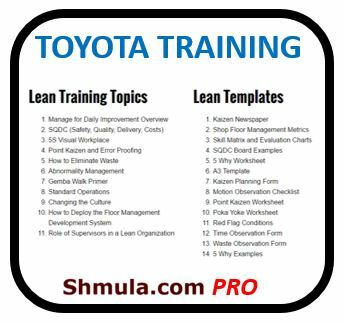 They both have their own applications in specific situations, and an experienced leader has to learn to realize the appropriate use for both, and know when to apply them. There are many different tools that can help you gain a better understanding of how certain failures manifest themselves in your organization. 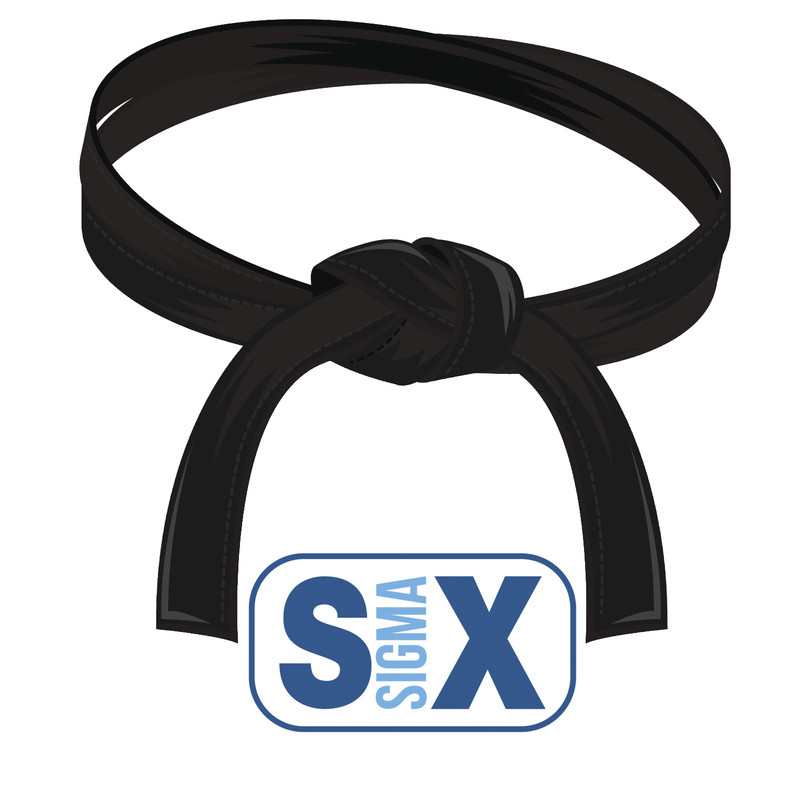 Exploring this area and learning when each of those techniques is useful is one of the most important factors for a serious leader, and it’s something you should do as early as possible when implementing Six Sigma in your organization. Understanding what leads to the development of a specific issue is key to ensuring that your company as a whole will run in a sustainable way in the future. 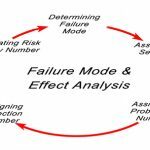 What Are the 5 Factors for a Successful FMEA? 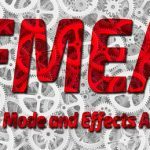 How Can Software Engineers Implement FMEA?